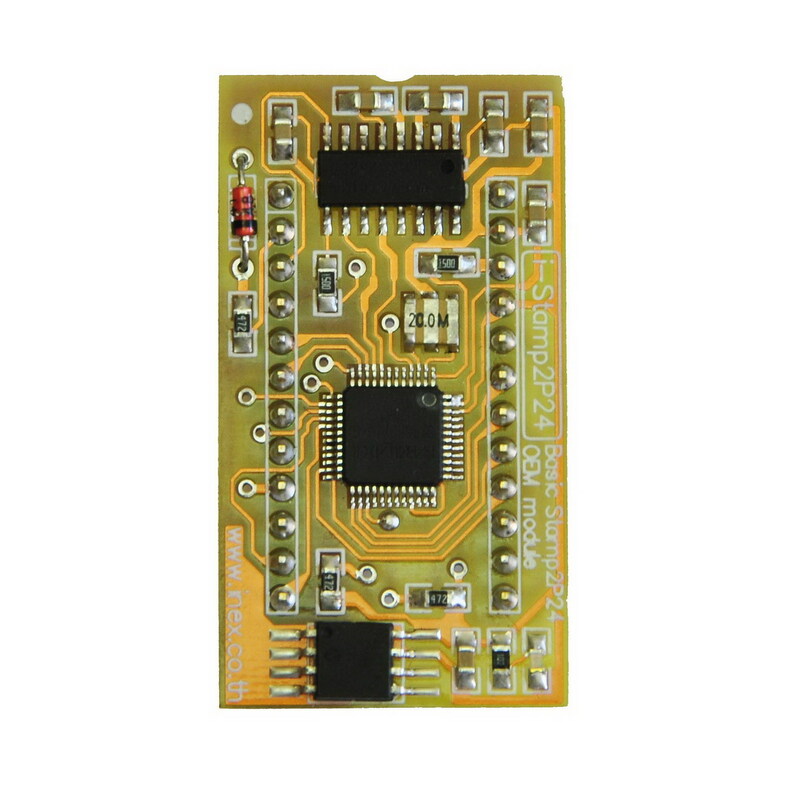 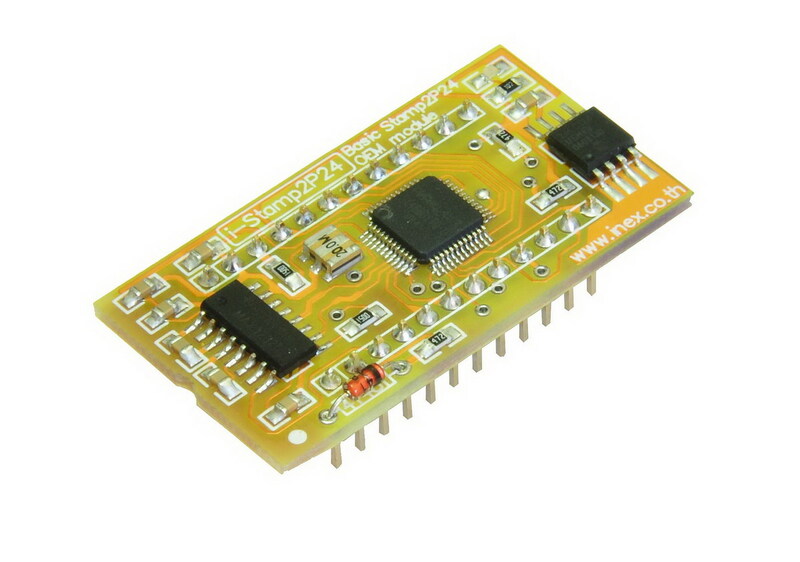 i-Stamp2P24 is the emulator of BS2P24-IC module which is designed by Innovative Experiment Co.,Ltd., Thailand under the co-operation with Parallax Inc., manufacture BASIC Stamp from USA. 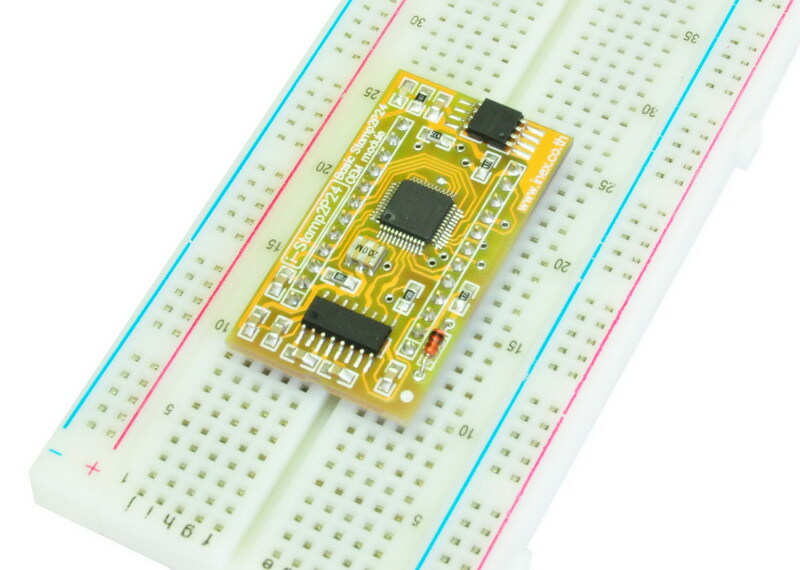 The size is different from BS2P24-IC. 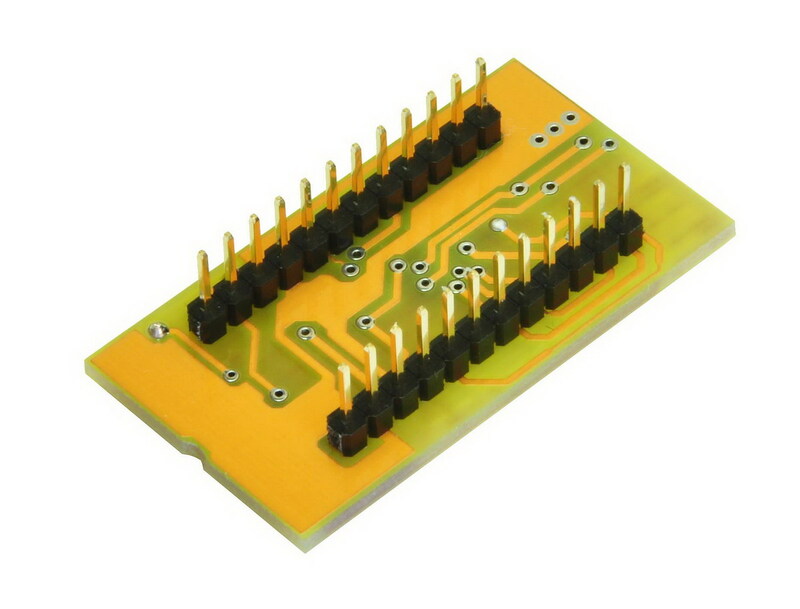 i-Stamp2P24 requires 24-pin female header to fit on the board. 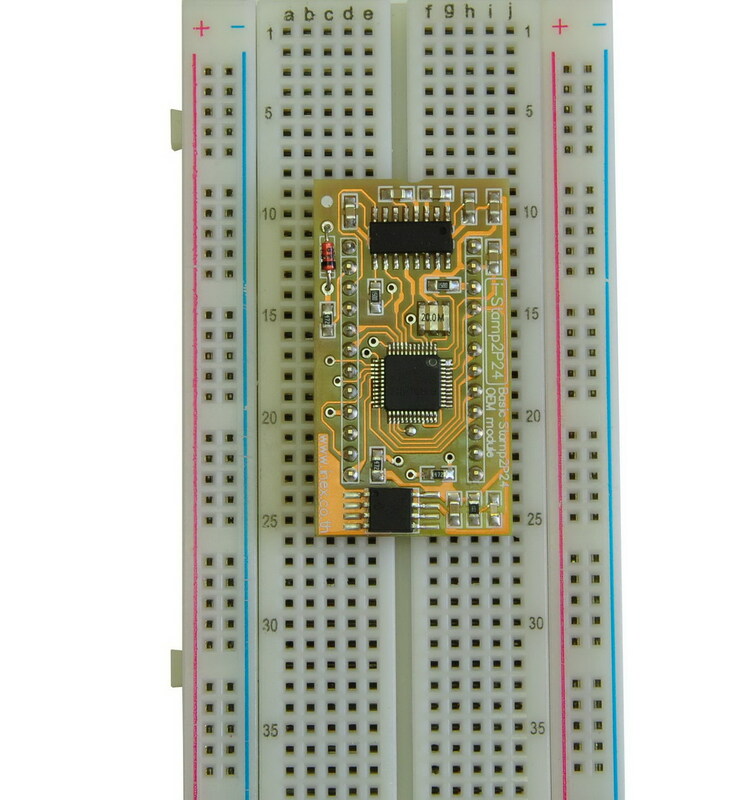 Also, there is no Vin pin because has no build-in on-board +5V regulator. 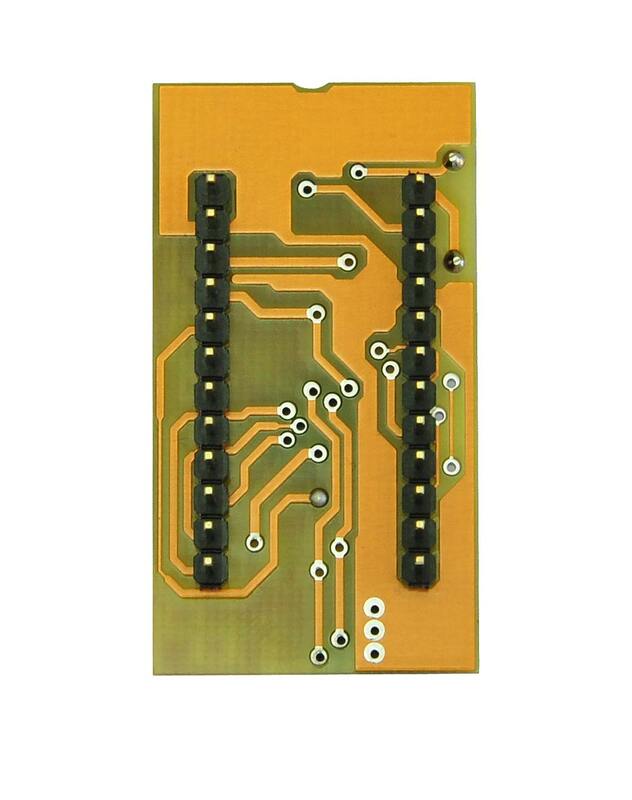 The i-Stamp2P24 use BASIC Stamp interpreter licensed by Parallax Inc.
• Board size 1.9" x 0.95"
* Basic Stamp is registered trademarks of Parallax Inc.